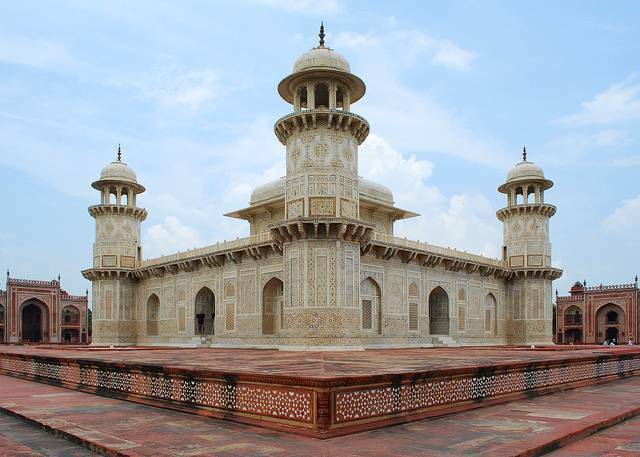 Itmad-ud-Daulah's Tomb is the Mausoleum of Itmad-ud-Daulah, who served as a Treasurer for Akbar. He was the grandfather of Mumtaz of Tajmahal Fame. Its polychrome ornamentations are really exquisite. The building was honored as the “First building with white Marble Finishing”. On the Redstone plinth, lies the white marbled tomb. The towers on the tomb are octagonal in shape. The well laid ornated garden add up to its beauty.